The prestigious surroundings of the Kowloon Cricket Club were the setting for the latest meeting of Old Wymondhamians overseas which took place on Monday, 4th June 2012. 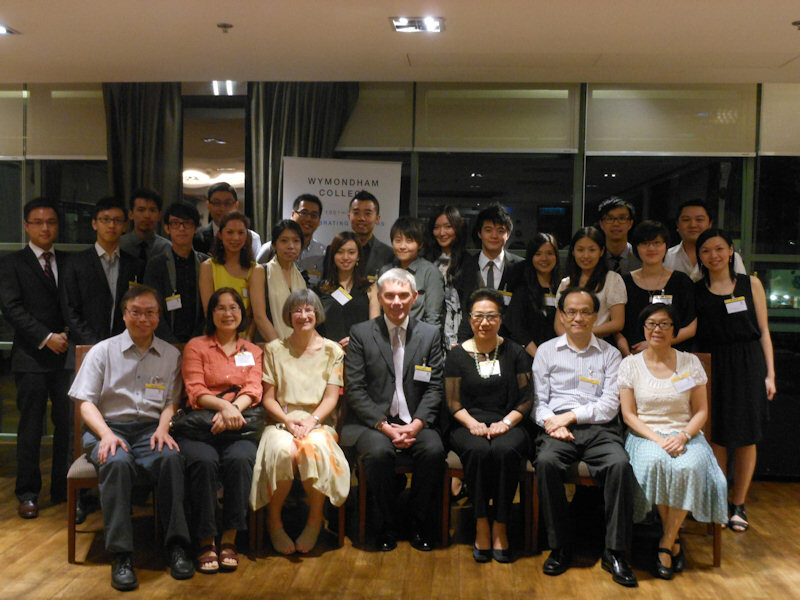 College Principal, Melvyn Roffe, who hosted the gathering whilst in Hong Kong to speak at a UK Education Expo, commented on the happy co-incidence that the OW Reception, which was part of the College's Sixtieth Anniversary Celebrations, was taking place on the same day as the celebration of the Queen's Diamond Jubilee back in the UK. "We always knew that the end of our 60th Anniversary celebrations would overlap with the Queen's Diamond Jubilee and I think Hong Kong is a highly appropriate place for that to happen", he said. Over 30 Old Wymondhamians resident in Hong Kong and Macau attended the event along with some VIP guests from the education sector in the territory.